Delhi traffic police E Challan system Normally, those who violate traffic rules will be fined with a fine. The penalty payment process facilitates with E-Challan, which is newly introduced by Delhi police. The policemen were equipped with handheld E-Challan device. Now, the infringer can pay penalty amount on the spot officers with either cash, credit card or debit card. As an additional feature, you can track your e-Challan status online. The registration of your vehicle due to such a traffic violation can be followed online here. Here the possibility to use this facility. Check your traffic and challan status and know the traffic rules and traffic details. 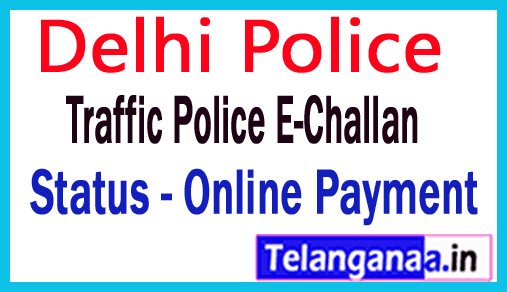 How to check and pay Delhi traffic police E Challan Online? Enter your car number and press "Enter"
The person who receives e Challan by mail can also fine on internet banking. Click here. Such nice information is not? For your convenience here are the Delhi police contact details.